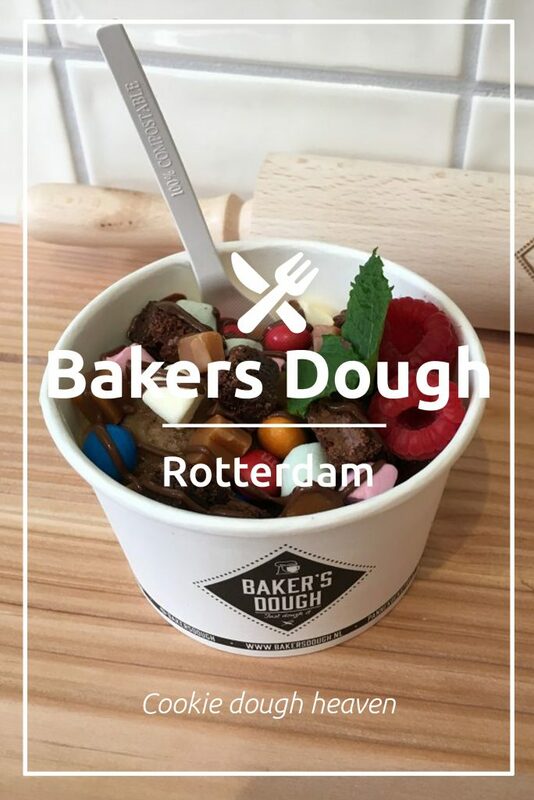 Rotterdam hotspot, the first Dutch cookie dough bar. If you are on Instagram, you have probably seen all the drool worthy photos of the cookie dough bar that opened in New York last February. People were losing their mind over this delicious treat and so were we. We were totally bummed that the store opened all the way in New York, just 2 months after we visited the city. Luckily for us, the first Dutch cookie dough bar opened its doors today in our hometown! 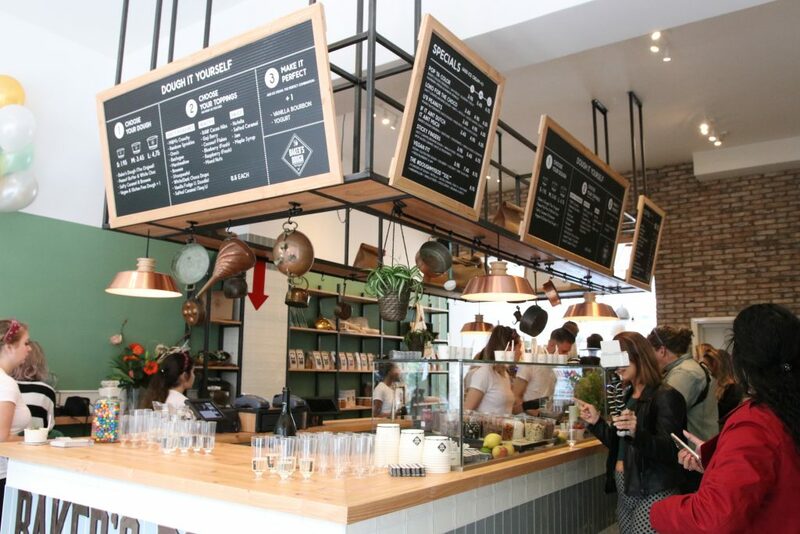 You can imagine our excitement when we were invited to the pre-opening of this Rotterdam ‘city hotspot’! Be prepared for lots of yummy looking photos, if this doesn’t make you plan that trip to Rotterdam we don’t know what will! 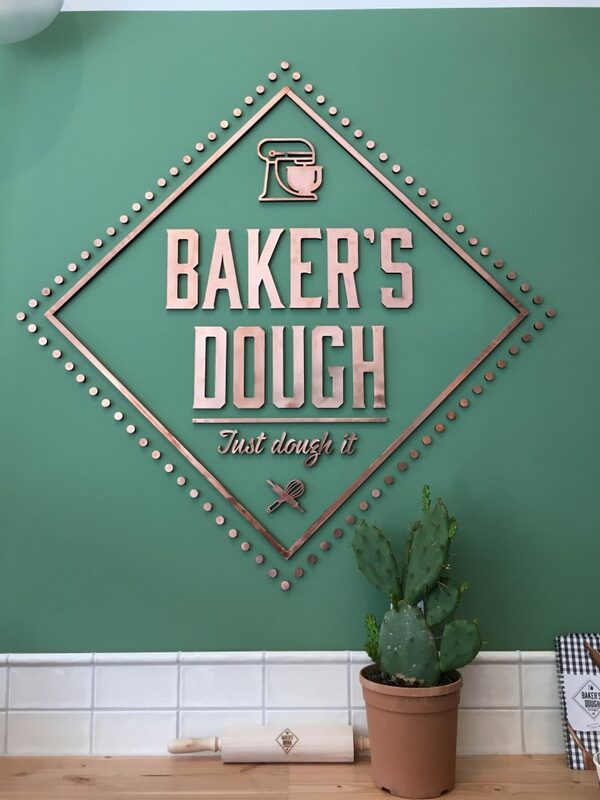 Baker’s Dough was founded by the same couple that owns another hotspot in the city: Baker&Moore. They were inspired by the cookie dough madness in America and decided to open their own cookie dough bar within just 3 months. 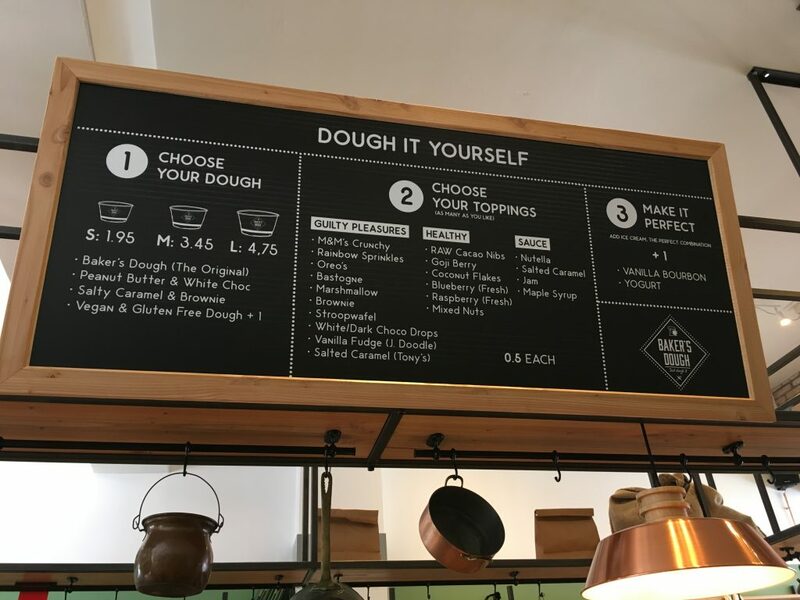 With their #justdoughit slogan they made sure that everyone is able to personalize their cookie dough in 3 easy steps. 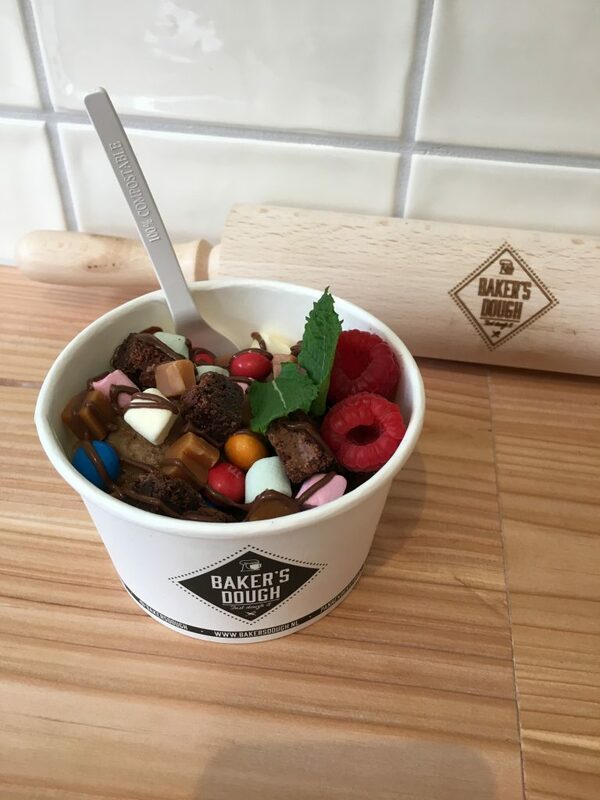 You can choose ‘Baker’s Dough’ (the original cookie dough and our favorite), peanut butter & white chocolate dough, salty caramel and brownie dough or the vegan & gluten free dough. There is a huge variety in toppings and sauces. There are ‘Guilty Pleasure’ toppings like Oreo, M&M’s, salted caramel, marshmallows and brownie bits. If you want something a bit healthier you can choose some ‘Healthy’ toppings like fresh fruits, nuts or coconut flakes. You can top this all off with a syrup, salted caramel sauce or even Nutella sauce! If you want your creation to be even more perfect, you can add some ice cream! If all these options make your head spin, you can choose one of Baker’s Dough specials. Our favorite special is ‘if it ain’t Dutch it ain’t much’ and not just for its clever name. This special contains two Dutch cookies: the Stroofwafel (syrup waffle) and the Bastogne cookie (a spiced cookie). We absolutely loved everything we tried and they have some amazing coffee too! The interior gives the place a very warm and cozy feeling. 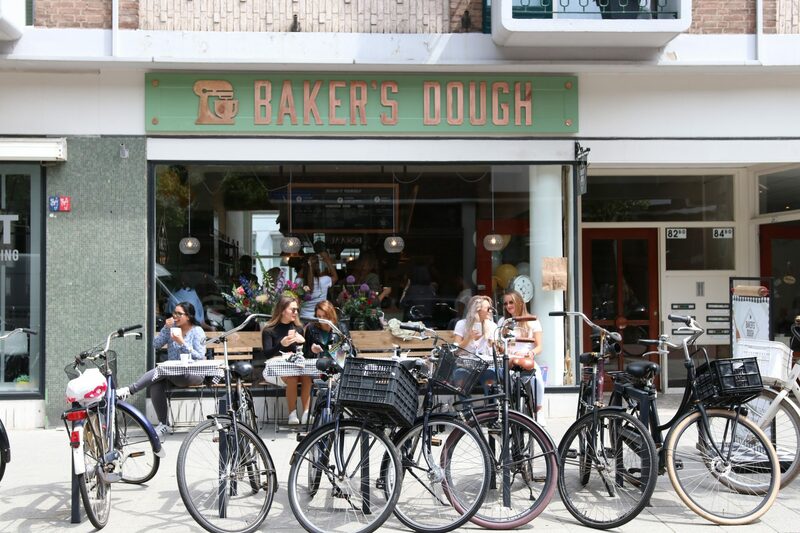 Baker’s Dough is a ‘to go’ store but if you want to enjoy your cookie dough and coffee sitting down, there are nine seats inside and a terrace with tables outside. 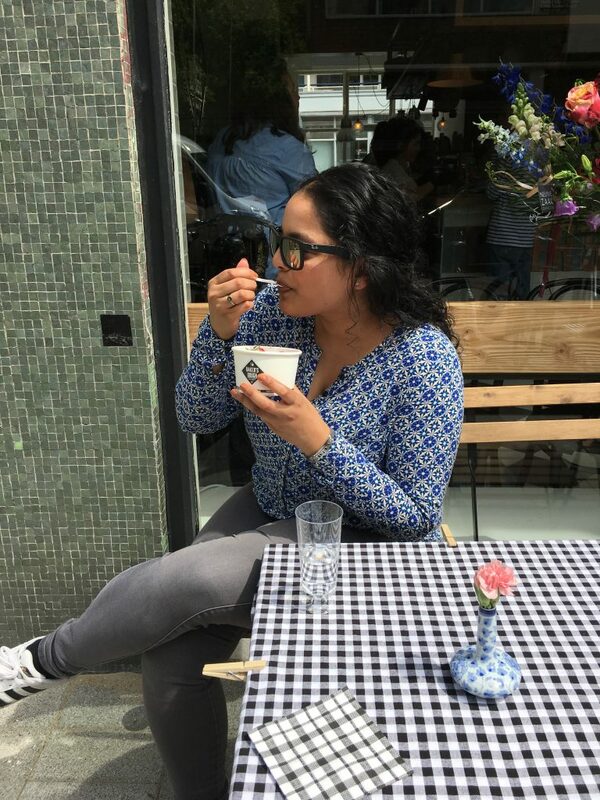 A definite must visit in Rotterdam and we can’t wait to go back soon!